4 Commercial Real Estate & Properties in Williamstown are listed in 2 categories. We have 2 Retail ShopsSale & Lease and 2 OfficesSale & Lease . Fully Furnished | Natural Light | Professional Space $119pw | 2 Person Workspa..
PROPERTY OVERVIEW and gt; and gt; $119pw Price incl. Economical shared office space in Williamstown. Price incl. Internet, Electricity and amp; Kitchen 6 month term 24/7 access Share with professionals Avail NOW for short or long term rent Situated directly off Kororoit Creek road, these offices are very close to the West gate freeway and all main arterial roads. These extremely affordable offices lie close to the heart of Williamstown and it's sensational lifestyle. Rent a dedicated desk and share with great professionals from different industries in this cool coworking shared office space. This office would definitely suit any of the following business types: Accountant, Publisher, Writer, Consultant, Advisor, I.T., almost any white collar profession who is happy to share office space. 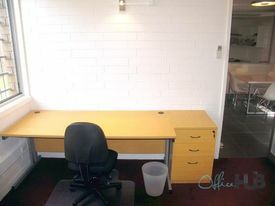 The advertised office space is perfect for a team of 2. If you need more or less space, we have over 30,000 furnished workspaces all over the world suitable for a team of 1 to 200+. Our award winning team offer a free service that will help you find the perfect solution for your needs, so reach out if you need more help. What you get for your weekly rent and gt; Dedicated desk, chairs and lock up storage unit and gt; Unlimited Wifi internet service and gt; Complimentary electricity usage and gt; Access to meeting room and gt; Unlimited use of the kitchen facilities and gt; Business address to put on your cards and gt; Flexible terms from 1 month 2 years and gt; 24 x 7 access to your office Office features 24 hour access Fully furnished Wifi internet connection Quality and amp; modern furniture 24 hour security Building Features Parking available on site Close to supermarket, cafe's, laundrette, shops, beach 50m to Buses 2.5km from North Williamstown train station Ideal location, with everything close by! WHO IS OFFICE HUB? Office Hub is Australia and amp; New Zealands No 1 small office space commercial real estate agency. We have the largest collection of shared spaces, coworking and serviced offices in Australia and amp; New Zealand, perfect for 1 200 employees. Let us take you on a tour of all the spaces that fit your needs and budget. Our service is complimentary and we work for you and the landlord to negotiate the most competitive deal in the market. Let us show you how shared and serviced offices can be the perfect solution for your business. www.office hub.com.au www.office hub.co.nz Conditions apply A portion of the square meterage factors in access to shared space. The advertised price includes any incentives offered based on a 12 month agreement. If a shorter period is agreed to please note the price may increase accordingly. This is for new tenants only. 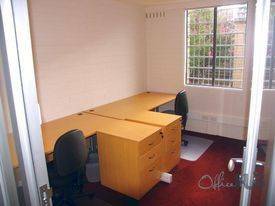 Professional Space | Ideal Working Environment | Natural Light $75pw | 1 Person Workspac..
PROPERTY OVERVIEW $75pw Price incl. 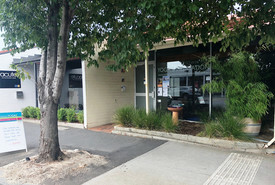 Economical shared office space in Williamstown. Price incl. Internet, Electricity & Kitchen 6 month term 24/7 access Share with professionals Avail NOW for short or long term rent Situated directly off Kororoit Creek road, these offices are very close to the West gate freeway and all main arterial roads. These extremely affordable offices lie close to the heart of Williamstown and it's sensational lifestyle. Rent a dedicated desk and share with great professionals from different industries in this cool coworking shared office space. This office would definitely suit any of the following business types: Accountant, Publisher, Writer, Consultant, Advisor, I.T., almost any white collar profession who is happy to share office space. The advertised office space is perfect for a team of 1. If you need more or less space, we have over 30,000 furnished workspaces all over the world suitable for a team of 1 to 200+. Our award winning team offer a free service that will help you find the perfect solution for your needs, so reach out if you need more help. What you get for your weekly rent Dedicated desk, chairs and lock up storage unit Unlimited Wifi internet service Complimentary electricity usage Access to meeting room Unlimited use of the kitchen facilities Business address to put on your cards Flexible terms from 1 month 2 years 24 x 7 access to your office Office features 24 hour access Fully furnished Wifi internet connection Quality & modern furniture 24 hour security Building Features Parking available on site Close to supermarket, cafe's, laundrette, shops, beach 50m to Buses 2.5km from North Williamstown train station Ideal location, with everything close by! WHO IS OFFICE HUB? Office Hub is Australia & New Zealand\'s No 1 small office space commercial real estate agency. We have the largest collection of shared spaces, coworking and serviced offices in Australia & New Zealand, perfect for 1 100 employees. Let us take you on a tour of all the spaces that fit your needs and budget. Our service is complimentary and we work for you and the landlord to negotiate the most competitive deal in the market. Let us show you how shared and serviced offices can be the perfect solution for your business. www.office hub.com.au www.office hub.co.nz Conditions apply A portion of the square meterage factors in access to shared space. Price includes any incentives offered. This is for new tenants only.